There are innumerable articles, books and classes devoted to aspects of developing a distinctive brand positioning. And, why not? Your brand positioning should drive all communication, and, as a wise man once told me — EVERYTHING communicates. However, the elements of brand positioning have become disjointed and disconnected over time, as focus shifts form one aspect to another. Also, it feels like brand positioning has become unnecessarily over-complicated by the scholarly focus, causing the project of sitting down to develop a new brand position to end up on the “someday, maybe” pile for many busy CEOs. Developing a differentiated brand positioning is nothing more than making sure your brand occupies a unique, distinctive and relevant place in your target customer’s mind (get it? 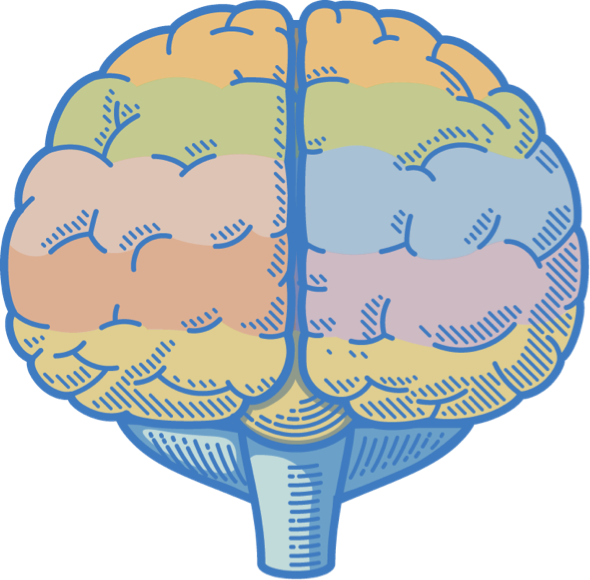 Brain, Mind…), so they consistently choose your brand in preference to that of your competition. It allows for consistency of message and experience across time and across management. It articulates your brand’s DNA across all aspects of the brand — from your brand identity/logo to packaging, from creative and media to distribution strategies, and from promotional offers to new product development plans. It has been my experience a good brand positioning contains 8 basic elements developed together in a cohesive manner, as shown in the accompanying diagram — two that form the “base” or foundation, two on the “left side”, two on the “right side” and two at the “crown”. Most importantly, a good brand positioning is a “whole brain” brand positioning, meaning it takes into consideration both the emotional (traditionally, the “right brain”) and the rational (“left brain”). In days gone by, marketers primarily focused solely on the rational, relying on their agencies to add a “dash” of emotion. The problem is, the dash didn’t always fit the brand. More recently, the emphasis has become almost completely on the emotional sell. And, while I agree, consumers usually decide to buy based on emotion, I also believe the “left brain” can either seal or sabotage the sale, depending on whether there is a strong rationale for that decision. As an example, when Dyson® entered the US vacuum cleaner category, it was with an electronic wonder that did for its market what the iPhone® would soon do for mobile phones. Nearly 25 pounds of brightly colored and transparent plastic and steel, pitched by an intelligent sounding British gentleman who told us it was so unusual, it was even on display in a museum. Emotionally, people were sold. The problem was it cost over $500 when you could get a serviceable machine from a recognizable brand at a discount store for under $100. Enter the rational sell. The British guy also told us that its bag-less design and cyclonic what-cha-ma-jiggy meant it “never loses suction.” Ask any early Dyson owner why they bought it, and they’d cite that. They may even have believed it. But, suction is not the reason they “accidently” left it out when company came over — it’s just how they gave themselves permission to do what they already wanted to do. In the 70’s, Honda® was known as a middle of the road “everyman’s” motorcycle. Wisely, however, they defined their business as the “world’s best motors,” leading them first into those funny micro-compact cars (that weren’t so funny when the gas crisis hit in 1979). This eventually lead to the award-winning Honda Accord; Honda lawn mowers that were the envy of every dad in the neighborhood; all types of power equipment; industrial applications; and, more recently, luxury cars that cost as much as a BMW or Mercedes Benz. What would the Honda Motor Company look like today had they defined their business as “motorcycles” in the 70’s? Who is your Target Customer? I know… sounds b-o-r-i-n-g. But, an insightful target description can be one of the most critical parts of creating a differentiated brand positioning. The “who” really does drive the “what”. So, what makes a useful positioning target? It’s a specific description of the broad population segment to which your brand’s activity is primarily aimed. If you are considering breaking it down further into personas, this is the common thread that binds those personas together. Ideally, it is substantial, growing and its constituents possess the means to buy your product or service. Beyond all that, however, a good positioning target also contains a description of the catalyst for that target to actually become a potential buyer of your category (not necessarily your brand). This tighter description can be unnerving and even counter-intuitive for many growth-oriented CEOs. The natural inclination would be to cast as broad a net as possible. However, the old saw about “trying to be all things to all people resulting in being nothing to anyone” is an old saw… because it’s true. Next, we move to the rational side of brand positioning because it is the “Foundational” and “Rational” elements that will help us define a relevant emotional hook. Not to carry the brain analogy too far, but think of it as providing for the synapses that connect the left and right sides of the brain. Starting from the emotional side can result in a disconnect to what your brand really does. However, it is important to understand that contorting your promise to try to make it sound differentiated when it isn’t, may only serve to confuse the customer. When Alka-Seltzer® launched its Cold product, it made a straightforward, if rather generic, “fast cold relief” promise, so people could understand it had entered this new category. But, if your rational promise is not differentiating, the reason to believe (discussed next) should be. Why Should I Believe You? (called the “Reason to Believe”, “Reason Why” or “Rationale”) - This is the rational proof statement(s) for why someone can believe your brand will fulfill its promise. It should be memorable and inextricably linked to the rational promise. If that promise itself isn’t unique, the reason(s) to believe must be. It could be anything from a special ingredient or manufacturing process (e.g. Dove’s ¼ moisturizing cream) to years of expertise, the size of your network, etc. In the previous Alka-Seltzer Cold example, it was the product’s effervescent form that screamed speed, even reminding some of the rapid intoxication effects of champagne. But, a note of warning — take care that any offered reasons to believe are both strong and meaningful. Recent research at Brown University has shown what many have suspected for decades — no reason to believe is better than a weak or contrived one. Target Customer Insight. Still, we don’t just start tossing out emotional benefits. Instead, begin by seeking a fundamental human truth about your target customers that is capable of engaging them at a deep level regarding your category, or the business you are in — not your brand. It’s about understanding their behavior, beliefs, motivations, attitudes and emotions relevant to how they view your category. It may reflect an underlying emotional conflict within the target customer that is not being fulfilled by what they are doing today. It should be big enough to build your brand on, universally true for your target and relevant over time. You can really only get at it by talking to your customers — on-on-one, in qualitative research or through listening to social media. And even then, they will only give you understanding that leads to the insight with some intuition and creativity added in. A word of caution, though — don’t attempt these conversations until you are well grounded in the quantitative facts of your business, or you may have difficulty separating truth from outliers. Emotional Benefit. With the insight about how your target customer relates to your category in hand, you are now in a position to consider the emotional or psychological satisfaction they derive from buying/using your brand. It should flow from the rational promise and be what the customer ultimately wants from your brand, even if they would have difficulty (or even resist) articulating it. For years, Tide® made women feel like great moms. Nike makes us feel like we are part of the athletic elite, not just the weekend warriors. Mercedes Benz is a big, black, beautiful symbol of having arrived (no, you didn’t buy it for the “German engineering” — you can get that from a Volkswagen. That’s the rational promise that seals the deal). A great personality. Defining your brand’s personality can influence the all important “experience” you create with it (and when communicating about it). People buy from people they like, relate to, admire or aspire to be. The same is true of brands. Often people will ask, “What would your brand be like if it were a person?” Perhaps, it is even more useful to ask what celebrity it would be like, since celebrities are shared experiences that evoke more vibrant descriptors. I’ve also seen people leaf through pictures in magazines and make collages representing what their brand would (and would not) be like. However you do it, the goal is to create a distinctive personality that gives direction as to what is, and is what is not, “on brand.” If the best you come up with is “friendly, approachable and authoritative,” keep trying. I doubt that will give you much direction, unless you really believe you run the risk of pitching your brand as a “mean old moron.” And, lest you think brand personality doesn’t matter, consider how Target®, Taco Bell® and Mountain Dew® have differentiated themselves with distinct personalities. But, don’t force it either. It took all three of the previous examples years to hone in on the right personality. Conversely, JC Penny® has tried to rapidly force one that didn’t fit, with less stellar results. Brand Essence. The Brand Essence is the culmination of all that has preceded it and is an extremely brief (I’m talking 1-3 words) encapsulation of the rational and emotional. It’s a rallying cry for your team. Although it will likely never be said in any communication, whether it is “in there” or not becomes the yardstick against which everything the brand does is measured. The brand essence attempts to put into words that “I’ll know it when I see it” which great visionaries have, so we mere mortals can get it right, too. Though I’m guessing, I would postulate that for years Downy® fabric softener had a brand essence of “Mother’s love.” They never said it, but nary an ad passed by without Mom scooping up her child in a freshly softened towel for a hug that said it all. If “Mom’s Love” wasn’t in everything the brand did, it wasn’t Downy. So, a differentiating brand positioning is a “whole brain” brand positioning that combines the rational with the emotional benefit, not relying solely on one or the other. It requires a solid foundational understanding of the business you are really in and a description of your target customer that incorporates the catalyst for why they would engage with your category and, thus, your brand. At the post-graduate level, you can add the distinctive personality and the 1-2 word encapsulation of the whole thing — your brand essence. Finally, how big of a brand do you need to be in order to have a “whole brain” brand positioning? How about an “army of one?” Each of us is individually a brand, and each of us needs a personal brand positioning. In fact, a “Brand Positioning Statement” — the one sentence expression of this exercise — not only make a great test to see if you like what you’ve developed, it can also be the ultimate “elevator pitch” for you or your brand. It goes like this: To (Target Customer), (Your Brand) is the brand of (Business you are really in) that provides (rational promise*) because (reason to believe). So, now all that’s left is to use your head and get started!